* – Designates the Buyers intention to combine two (2) adjacent apartments (COMBO UNITS). SBT – Designates apartments sold by Southbridge Towers, Inc. 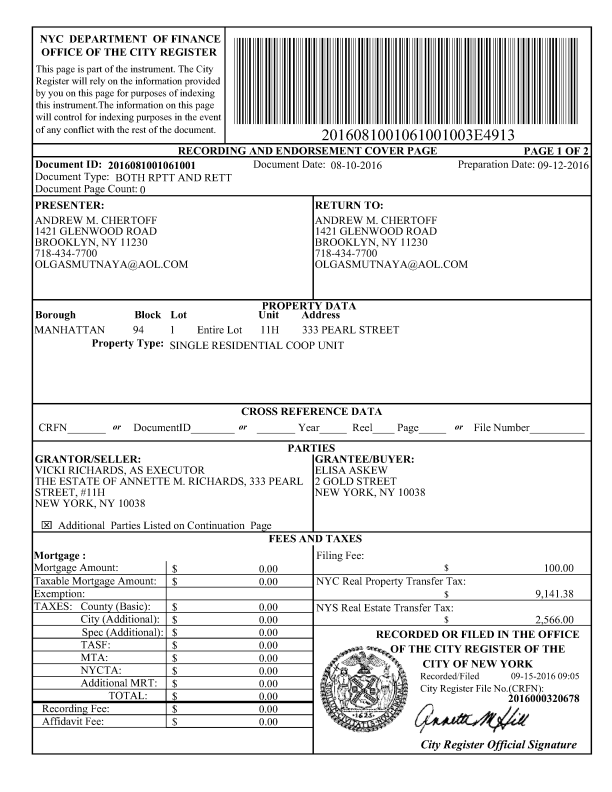 Presumably vacant apartments owned by Southbridge Towers, Inc. and controlled by the SBT Board of Directors. (All profits should be treated like Flip Tax). >> – This sale was not counted among the total. Sale constitutes a portion of a Hallway at 299 Pearl Street – Sold to a Shareholder by Southbridge Towers, Inc. for $26,212.50. >> – This sale was not counted among the total. Sale constitutes a portion of a Hallway at 299 Pearl Street – Sold to a Shareholder by Southbridge Towers, Inc. for $30,792.47. 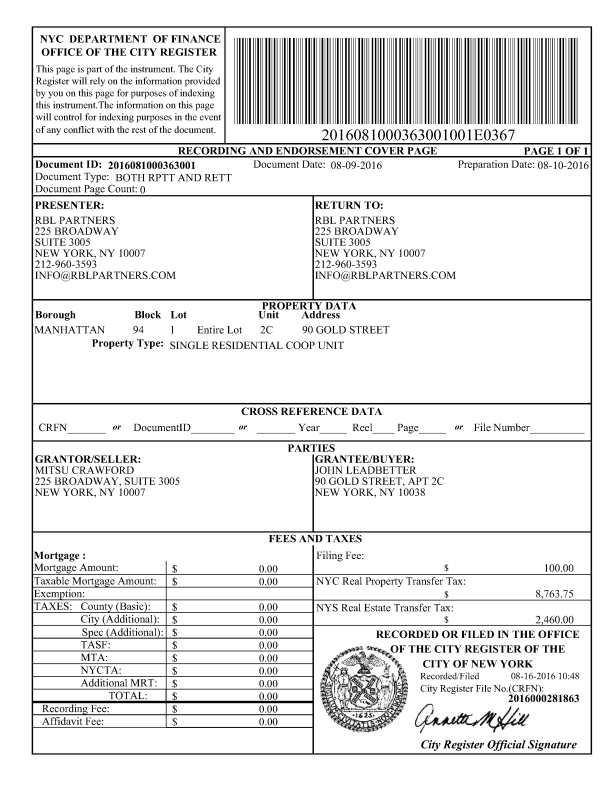 The closed sales data above is public record courtesy of NYC Department of Finance, Office of the City Register and can be found online via the Automated City Register Information System (ACRIS).